The Committee to Elect Jeff Gahler is proud to announce another in a growing list of endorsements and support for Jeffrey R. Gahler as he seeks a second term as Harford County’s Sheriff. 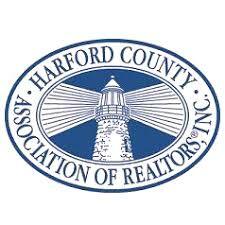 The most recent endorsement comes from the Harford County Association of REALTORS, Inc., an organization that offered its support and a $2,000 donation to Sheriff Gahler’s reelection effort on Thursday morning. Sheriff Gahler is both appreciative and honored with the excellent relationship between the Sheriff’s Office and the community it serves. Sheriff Gahler has employed many new and innovative strategies designed to improve these working relationships with community based groups and to partner with Harford County’s citizens. This latest endorsement is reflective of the Sheriff’s commitment and passion to these efforts. 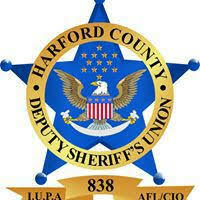 The Committee to Elect Jeff Gahler is proud to announce that Sheriff Jeffrey R. Gahler has received the endorsement of the Harford County Deputy Sheriff’s Union in this year’s election. The Deputy Sheriff’s Union, whose membership of over 300 active and retired law enforcement deputies, overwhelmingly voted to endorse Sheriff Gahler for a second term. 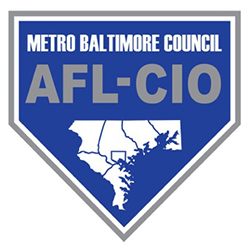 The endorsement was announced by the Union’s President, Mike Montalvo, on Thursday. Sheriff Gahler spoke about the endorsement this week and touted the open and productive working relationship between the Office of the Sheriff and the Deputy Sheriff’s Union. Sheriff Gahler highlighted the recent collective bargaining legislation and the restoration of a fair and equitable salary plan for the men and women on the street keeping our community safe. Nearly 10 years of neglect prior to Sheriff Gahler taking office resulted in a compression of pay scale and salaries that had also become no longer competitive with surrounding agencies. These issues resulted in recruiting challenges and the loss of tenured employees.